As we started working our way through School Sparks, I realized that before we could do the letters section, Scout Kid needed some serious phonics help. He knows his letters backwards, uppercase and lowercase, can write them all with minimal help, and has a few sight words, but he really only knew a handful of the phonics sounds despite, I thought, me being pretty regular about talking about them. I got this movie on the recommendation of a friend— she used it for her kids in the past and apparently it works like magic for teaching kids phonics sounds. Since I am all about education in the form of magic, I bought it and, yep! It’s magic! Scout Kid went from basically not knowing more than a few letter sounds to knowing them all in two days! The video doesn’t cover long vowels, alternate sounds (such as for c, g), or digraphs, but it’s a good start and Scout Kid found it effortless and engaging. 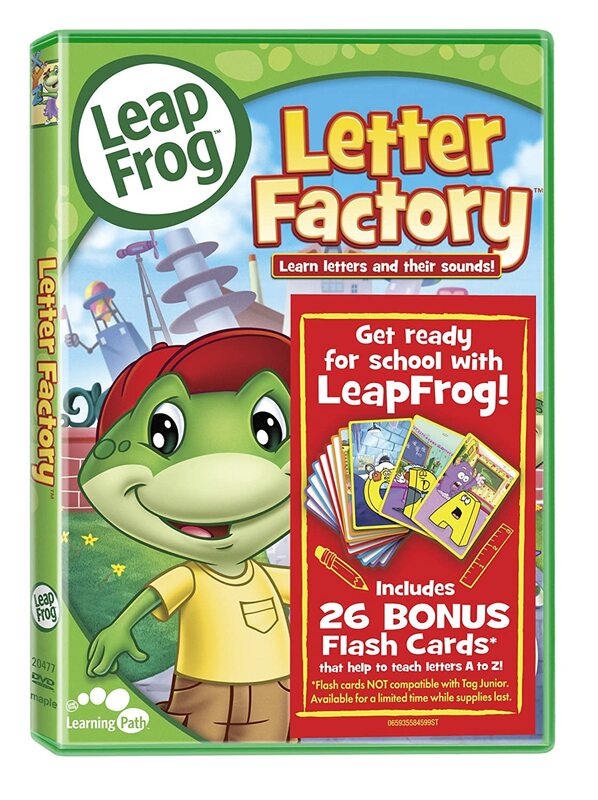 Find it on Amazon for $15: Leapfrog: Letter Factory (link through my Amazon Affiliates account).